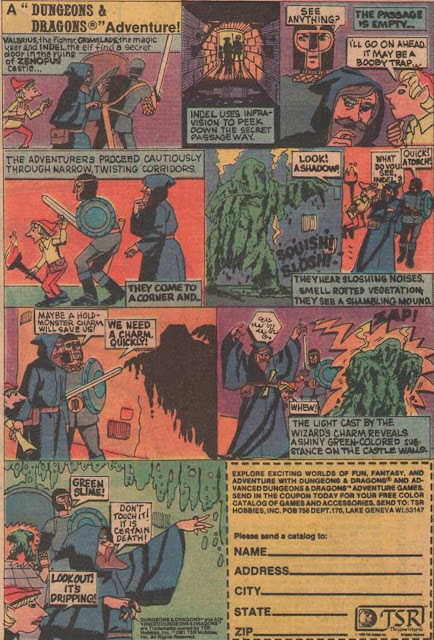 John Kenneth Muir's Reflections on Cult Movies and Classic TV: Horror Lexicon 14: Mob Justice! Horror Lexicon 14: Mob Justice! 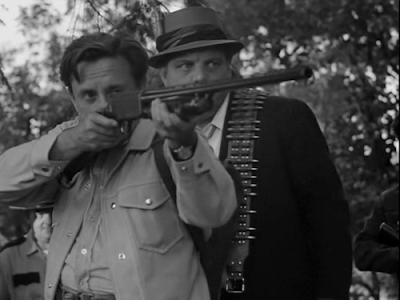 One of the most common -- and long-standing -- tropes of the horror film is mob justice. This genre convention might be described as the idea that local people, when faced with fear and anxiety, may seek to take the law into their own hands to remove any monster, being, or personality they determine is a threat to their safety and survival. The problem is that a mob is susceptible to group-think, the concept that, in a group or mob, many people suppress their individual sense of morality, or responsibility for decisions. So the mob in these horror movies often acts, and acts violently...and without any sense of wisdom or proportion. 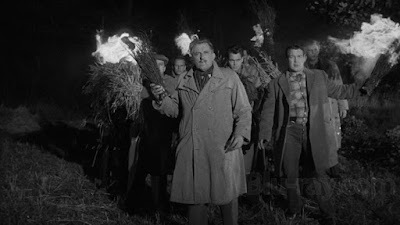 Going way back to 1931's Frankenstein, a key visualization of "mob justice" is forged: the villagers with lit torches, marching against an individual they deem guilty of a crime. 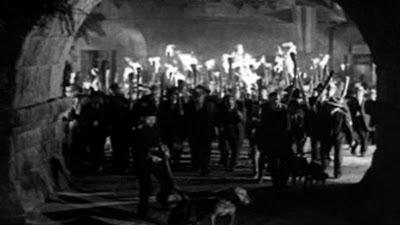 As late as 1995, and John Carpenter's Village of the Damned, the horror movie has provided viewers with related imagery of frightened people, confronting "the other" with torches. Humans murder, and burn, that which they fear, this image reveals. By 1968, mob justice had become "posse" justice. In an outbreak of the zombie plague in rural Pennsylvania, roving bands of citizens, joined with local law authorities, went out with shotguns and rifles to shoot those they deemed monsters. In at least one incident, they targeted people instead of zombies, murdering Ben, the last human survivor in a farmhouse. Ben had survived a night of horror, interpersonal conflict, and danger, only to be killed on the dawn of a new day. Animal attack movies are also notorious for featuring instances of misguided "mob justice." Steven Spielberg's Jaws (1975) features a scene with (drunken) Amity locals rushing their boats and going out on the water to go hunt the great white shark. These locals bring back an innocent victim -- a murdered tiger shark -- and display it in town as a trophy. Grizzly (1976) from William Girdler, offered a similar scene, though set in a national park. A group of hunters -- ignoring the prominent "No Hunting" sign -- descend on the woods to find and murder the bear attacking campers. One of the hunters experiences a close call with the bear, and no doubt thinks twice about his actions. The trope of mob justice has even found its way into slasher and rubber reality films, as well. 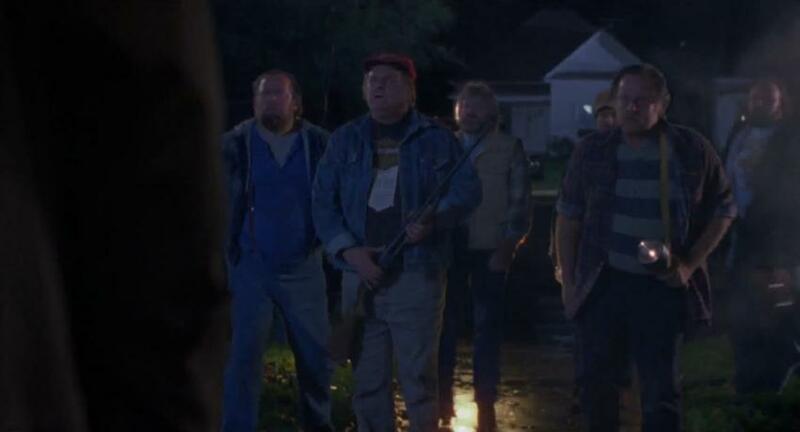 In Halloween IV: The Return of Michael Myers (1988), a group of Haddonfield rednecks and drunks learn in a bar (while drinking and watching TV) that Michael Myers has returned to their town on Halloween nigh, twenty years after his last attack.. Instead of letting the police handle such a difficult situation, these drunkards and loud-mouths go out into the night and start hunting their quarry. They end up killing an innocent man, Ted Hollister, instead of the Shape. In a very real way, the origin of Freddy Krueger is about mob justice, even if the mob-justice doesn't occur on-screen in Wes Craven's original A Nightmare on Elm Street (1984). When child-murderer Freddy escapes justice on a technicality, a mob of parents get together, trap him in his boiler room, and burn him alive. It is that act of mob justice, ironically, that allows Freddy to seek his revenge from beyond the grave. Looking at these examples, one sees a mob kill our hero (Night of the Living Dead), murder an innocent man (Halloween IV), spawn a deeper evil (A Nightmare on Elm Street), harm nature (Jaws), and also hurt a being, or "monster" the audience sympathizes with (Frankenstein). 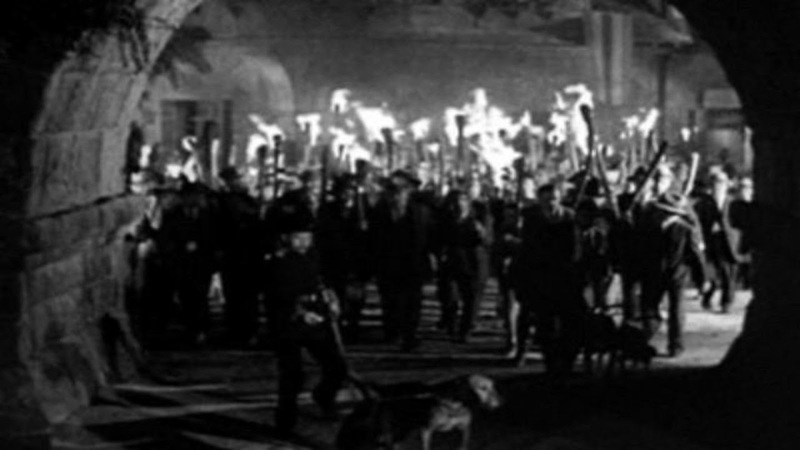 Therefore, the lesson of this trope in the horror lexicon is simply this: beware the mob. The mob is more dangerous than any so-called monster, out there, hiding in the woods. And mob "justice?" There's no such thing. The mob scene in the original Phantom of the Opera is classic. That mob is far scarier than the poor Phantom.